Research abounds on the uses of marijuana for treating a variety of illnesses that affect people, from chronic pain to post traumatic stress syndrome. But what about man’s best friend? A host of products already are on the market aimed at providing the benefits of cannabis to the health of pets. And no pets need help more than those who are naturally skittish or in a situation that could cause them anxiety, such as loud holidays like the Fourth of July or Halloween. Some pet owners are turning to products that contain cannabidiol, one of the active ingredients in cannabis. Unlike the most well-known ingredient, THC, CBD does not produce a high. Such products are already the subject of research studies around the world. Scientists and medical experts have an interest in determining the health benefits of the chemical, which many already use to treat various conditions. But as one pet owner told National Public Radio, CBD also has a positive effect on animals. The California resident told NPR that her dog had difficulty last year dealing with the Fourth of July celebrations because of the noise from large crowds and fireworks. The dog already has anxiety issues because of mistreatment by his first owners. On the advice of an expert at a marijuana dispensary, the owner decided to get a vial of CBD-infused oil designed for pets. The treatment had an immediate positive effect, helping the dog to “mellow out” during times of anxiety or stress, according to NPR. The popularity of such treatments is growing, thanks to success stories such as that one, and so are the number of companies offering CBD products for pets. One such company is Vet CBD. The California-based company, founded by a veterinarian, offers oils that have all natural ingredients, with no sugar, alcohol or solvents added. Others include Denver-based Therabis and Treatibles, which makes hemp-derived super food for pets. Tim Su, the veterinarian who founded VetCBD, told NPR that marijuana has long held a bad reputation among vets. The primary reason are cases where pets ate large amounts of their owner’s marijuana stash, which in a dog can induce vomiting, dizziness and loss of bladder control. However, CBD offers the possibility of health benefits without the effects of THC. Shu said he developed such treatments because he had an older dog who suffered from anxiety as well as side effects from traditional medication. As with all things marijuana under the Trump Administration, legal issues loom as well. The federal government still categorizes marijuana as an illegal drug and includes CBD products in that list despite the fact they produce no high. However, with the popularity of such products – and the fact they are legal in more than half the states – expect pet owners to turn to whatever they think can help their four-legged friends. Given the evidence so far, that will include CBD products. 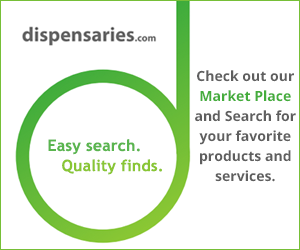 ← Is There Anywhere in the U.S. You Can Use Medical Marijuana In Public?